The first time that bicycles were used successfully in a military capacity was after the Spanish War of 1898 when Lt James A. Moss, U.S. Army, and a hundred black cyclists were rushed in to help with riot control in Havana, Cuba. They were laughed at and scorned but the amusement and chuckles soon died away when they proved effective. Rioting mobs were dispersed with ease by soldiers who moved in quickly and used their bicycles as barricades. 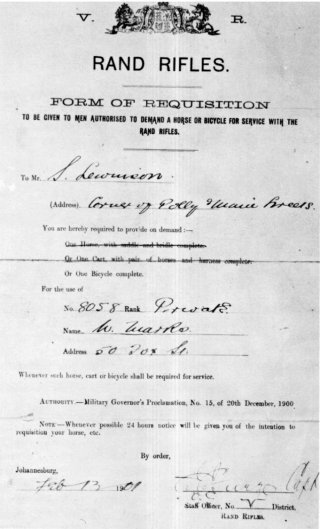 Notwithstanding this success the American Army still hesitated to accept the bicycle as a machine of war. For several years before the Anglo-Boer War the bicycle had been used in South Africa for para-military purposes and occasionally unofficially for military purposes but the real test of its usefulness in war was during that war. (1) The Transvaal War Album aptly states: ‘Among the questions likely to be settled by the present war is the use of cyclists in the field’. (2) To what extent and with how much success was the bicycle utilized in the Anglo-Boer War? M. Caiden and J. Barbree in Bicycles in War maintain that during the guerrilla stage of the war the Boers were unable to keep ahead of ‘… hundreds of fresh, heavily armed men on bicycles'(3) This statement causes one to visualize hundreds of cyclists successfully rounding up Boer horsemen, which gives rise to two questions: was the British army the only force to make use of troops on bicycles and were they employed in their hundreds? Danie Theron immediately started to advertise in newspapers on the Witwatersrand for young men to join his corps. (7) He sent out trusted associates to select reliable men, drawing his recruits from young, well-educated members of the upper classes. (8) When finally established, the Wielrijders Rapportgangers Corps consisted of one hundred and eight men and was divided into seven sections, each under a lieutenant responsible to Captain Theron. The following were sent out to different districts on the 19th September 1899: 8 men under Jan Niehaus to Waterberg, 17 men under S. de Kock to Soutpansberg, 18 men under C. Maartens to Lichtenburg, 16 men under G.F. Mynhardt to Wakkerstroom, 16 men under H.H. van Gass to Vryheid, 14 men under Klaas Jooste to Zeerust, and 18 men (leader’s name omitted) to Bloemfontein. (9) Each man was supplied with a bicycle, short trousers, a revolver and, where deemed necessary, a light carbine. (10) In March 1900 a man named Frazer was sent to Pretoria to obtain desperately needed binoculars, tents, tarpaulins, and wire cutters. (11) The short trousers and carbines seem not to have been used. No photographs of Boer cyclists wearing or using them have been found. 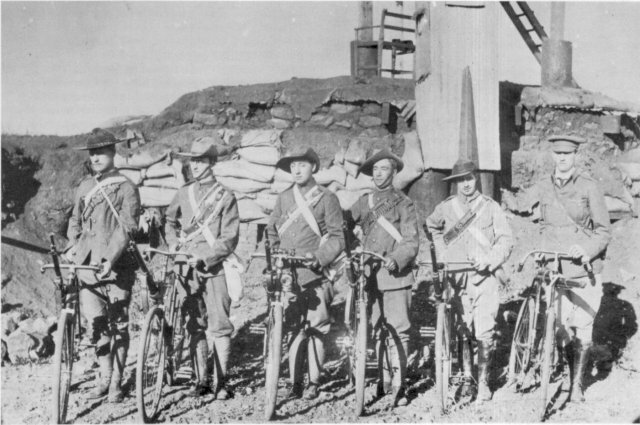 British cyclists carried rifles on their bicycles as can be seen in the photograph of the Rand Rifles. Rand Rifles. Most British cyclists were dressed and equipped as the central figures. could be fitted with a Maxim gun, and was capable of a speed of over 48 kmh. There are numerous success and failure stories of cyclists. Even before hostilities began the cyclists under Danie Theron supplied important information regarding available grazing, watering places, and other intelligence for the Boer forces. General Louis Botha paid special tribute to the intelligence work done by the Boer cyclists before the war. (33) Intelligence provided by the cylists of both sides (particularly on that of the Boers) proved invaluable to commanders when fighting actually commenced. On one occasion during the war eleven cyclists from New Zealand were on their way with despatches in the vicinity of Eerste Fabrieken, near Hammanskraal, when they came across ten Boers on horseback. After a spirited chase over the veld they captured the Boers and H.W. Wilson maintains that this is the only such feat achieved by cyclists in the war. 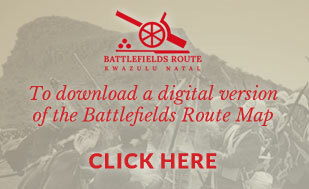 (34) On another occasion seventeen Colonial cyclist-scouts were ambushed by Boers on horseback while they were wheeling their cycles along the road and they surrendered only after a bold fight. The Colonials were stripped of their cycles, arms, and equipment and sent to Edenburg on foot. After this account H.W. Wilson points out the helplessness of cyclist troops in unfavourable country and questions the validity of using cyclists for scouting. (35) This is the only instance where their ability to hold their own was questioned. Cyclists in camp repairing their machines. 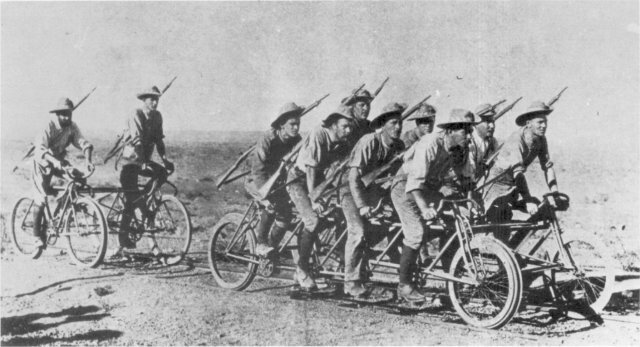 After the war the Royal Commission on the War in South Africa enquired into the usefulness of bicycles. A reporter for the Manchester Guardian stated that although he generally used a horse and, on occasion, a bicycle, he was quite astonished to find how well he could get about even in Natal during the wet season. He expressed surprise at the mobility of the CIV cyclists in the veld. He pointed out that South Africa was a very open country and that the more enclosed a country was, the greater was the number of roads. He went on to say that many cyclists in England followed hounds and seemed to be there with the horsemen at the end of the run. Several of the witnesses before the Royal Commission complained of the shortage of horses. (49) The Remount Department had had its hands full in coping with the demand for horses. (50) Some witnesses thought that horsemanship and horsemastership were lacking, whereas others were of the opinion that it was not bad. (51) Considering the difficulty the British experienced in supplying remounts one would think that they would have made more use of bicycles, thus releasing horses which were being used for incidental transport, despatch riding, etc. It is interesting to note that cyclists on both sides were mostly from urban areas where the horse was no longer held in such high regard. The Boers, fewer of whom were urbanized, made far less use of the bicycle than did the British. They also had a reasonable supply of horses(52) and few problems with horsemanship and horsemastership since they were mostly farming people who used the horse as a regular mode of transport. Pride of ownership and love for his pony was a way of life with the Boer. 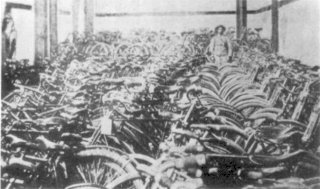 At Graaff Reinet five hundred bicycles were confiscated under military orders. (55) This step was necessary because of suspected disloyalty among the Dutch-speaking British subjects in the region. (56) In Pretoria the Boers also strictly controlled the use of bicycles. At the time of Winston Churchill’s escape from Pretoria, two Englishmen were jailed for having left the town on their bicycles without a permit. (57) The fact that on both sides strict measures were taken against the use of the bicycle by civilians is an indication that it posed a real threat as a quiet, relatively fast, and cheap mode of transport. Martial Law in Cape Colony: 500 bicycles handed in under military orders at GraafF-Reinet. On the whole cyclists on both sides were praised for work well done. ‘They faced many hazards of the road, and of the enemy . . . Quite obviously they were relied on by senior officers, and earned their commendation on a number of occasions. '(58) Although this referred to the cyclists of the Southern Rhodesian Volunteers, it could well be applied to both British and Boer cyclists. Many operations went off well because of the efficiency with which scouting, and the delivery of despatches, was carried out. As long as there were no casualties or blunders, no comment from high places was required and consequently very little was ever said of the sterling work done by the cyclists. (59) They helped to keep open the lines of communication when the telegraph or heliograph was unable to operate or when operations were far removed from telegraph services. (60) Without good communications military operations invariably end up in an unco-ordinated shambles. 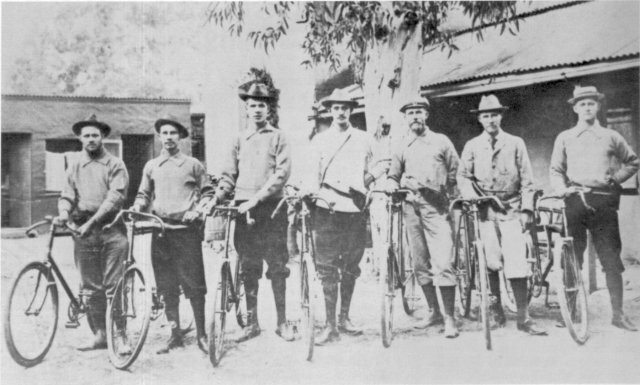 British bicycle troops in South Africa during the Anglo-Boer War numbered several hundred altogether, but they were not used in large fighting formations to round up the Boers in the guerrilla phase of the war. In general their major task was to carry despatches; other duties and escapades were incidental. Whenever an out-of-the-ordinary task needed to be done, the cyclists were ready. The only official cyclists on the Boer side were the 108 members of the Wielrijders Rapportgangers Corps. Does the bicycle in conflict really belong to the past? 1 Caiden, M. and Barbree, J.: Bicycles in War, p.63. 2 The Transvaal War Album – The British Forces in South Africa, p.98. 3 Caiden, M. and Barbree, J.: Bicycles in War, p.67. 4 Breytenbach, J.H. : Kommandant Danie Theron, p.98. 7 Rompel, F.: Heroes of the Boer War, p.156. 10 Breytenbach, J.H. : Geskiedenis van die Tweede Vryheidsoorlog 1899-1902, Vol 1, p.69. 11 Breytenbach, J.H. : Kommandant Danie Theron, p.148. 12 The Transvaal War Album – The British Forces in South Africa, p.98. 13 Rand Rifles File, South African National Museum of Military History. 14 Amery, L.S. : The Times History of the War in South Africa, 1899-1902, Vol V, p.612. 15 Government Archives, Cape Town, DD 4/152, (photocopy). 16 The Diamond Fields Advertiser, The Siege of Kimberley, p.75. 17 Historical Records of the Durban Volunteer Infantry Corps, DVG, DRG, NNR, DLI, 1854-1904, pp.70-86. 18 Hickman, A.S.: Rhodesia Served the Queen, Rhodesian Forces in the Boer War 1899-1902, Vol I, p.71. 19 Maurice, F.: History of the War in South Africa, 1899-1902, Vol III, pp.110-405. 20 Lloyd, J.B.: One Thousand Miles with the CIV, pp.223, 224. 21 Amery, L.S. : The Times History of the War in South Africa, 1899-1902, Vol II, p.85. 22 Maurice, F.: History of the War in South Africa, 1899-1902, Vol III, pp.11, 12. 24 Parritt, B.A.H. : The Intelligencers, pp.210,211. 25 Cuthbert, J.M. : The 1st Battalian Scots Guards in South Africa, 1899-1902, p.23. 26 The Diamond Fields Advertiser, The Siege of Kimberley, p.4. 27 Rompel, F.: Heroes of the Boer War, p.156. 28 Maurice, F.: History of the War in South Africa, 1899-1902, Vol II, pp.17, 106. 29 Transvaal Archives, A 285, Roos Telegrams. 30 Rompel, F.: Heroes of the Boer War, p.156. 31 Lloyd, J. B.: One Thousand Miles with CIV, p.59. 32 Transvaal War Album – The British Forces in South Africa, p.132. 33 Breytenbach, J.H. : Kommandant Danie Theron – Baasverkenner van die Tweede Vryheidsoorlog, p.116. 34 Wilson, H.W. : After Pretoria: The Guerilla War, Vol I, p.447. 36 Africana Notes and News, Vol XXI No.8, December 1975, pp. 337-339. 37 Lloyd, J.B.: One Thousand Miles with the CIV, p.155. 39 Davitt, M.: The Boer Fight for Freedom, p.353. 40 Transvaal Archives K.G.263. Breytenbach, J.H. : Kommandant Danie Theron, p.133. 41 Transvaal Archives, A 285, Roos Telegrams. 42 Mackinnon, W.H. : The Journal of the CIV in South Africa, p.196. 44 Lloyd, J.B.: One Thousand Miles with the CIV, p.50. 45 Royal Commission on the War in South Africa, Minutes of Evidence on the War in South Africa, p.483. 48 Transvaal Archives, Leyds 718, Telegram No 13. Breytenbach, J.H. : Geskiedenis van die Tweede Vryheidsoorlog 1899-1902, Vol I, p. 69. 49 Royal Commission on the War in South Africa, Minutes of Evidence on the War in South Africa, p.323. 50 Maurice, F.: History of the War in South Africa, 1899-1902, Vol I, p. 20. 51 Royal Commission on the War in South Africa, Minutes of Evidence on the War in South Africa, p.272. 52 Wilson, H.W. : After Pretoria: The Guerilla War, Vol 1, p.479. 53 Shorten, J.R.: The Johannesburg Saga, p. 174. 54 Wilson, H.W. : After Pretoria: The Guerilla War, Vol 1, p.493. 55 Papers Relating to the Administration of Martial Law in South Africa, p. 96. 56 Wilson, H.W. : After Pretoria: The Guerilla War, Vol 11, pp. 738-742. 57 Haldane, A.: How we escaped from Pretoria, p.54. 58 Hickman, A.S.: Rhodesia Served the Queen, Rhodesian Forces in the Boer War 1899-1902, Vol 1 p.307. 59 Lloyd, J.B.: One thousand Miles with the CIV, p.60. 60 Breytenbach, J.H. : Geskiedenis van die Tweede Vryheidsoorlog 1899-1902, Vol 1, p.105. 61 Broker, F.P.U. ; The Man Powered Military Vehicle, in the Army and Defence Journal, Vol 101, October 1970 to July 1971.